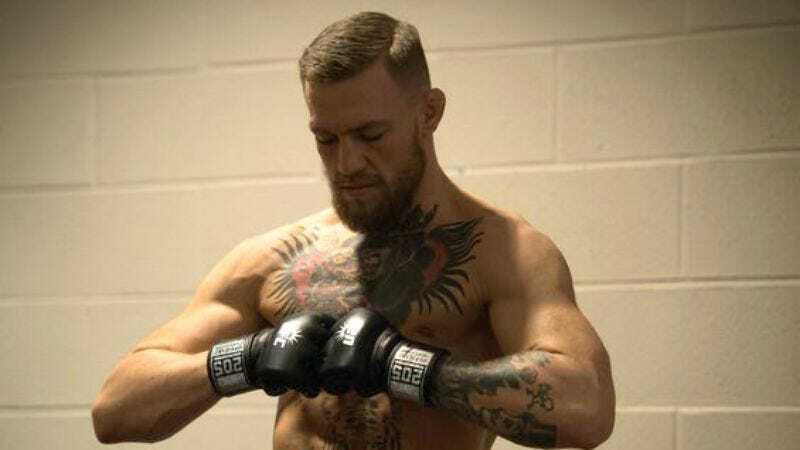 Ultimate fighting fans—and Game Of Thrones showrunners—David Benioff and Dan Weiss have finally brought their two passions together, with news site Watchers On The Wall reporting that UFC superstar Conor McGregor has signed on for a cameo in the seventh season of the hit HBO show. McGregor—who previously dipped his toe into GOT-adjacent waters last year, when he attempted, not very successfully, to spar with Hafþór “The Mountain” Björnsson at his Straight Blast gym—will play a member of Euron Greyjoy’s vicious pirate crew. But don’t worry, UFC fans: McGregor isn’t hanging up his gloves to pursue a full-time acting career. The WOTW posting notes that the ultimate fighter’s non-speaking stint as an Ironborn will only be a “short-term gig,” which actually feels like a pretty pat description of all life on Westeros, now that we think about it.